Spring break: that beautiful time of the year when college students can get away from the rigors of their studies. With a week away from classes, homework, projects and readings, students may decide to hit the beach, the mountains or, if circumstances are right, head to a foreign country for some international shenanigans. Yes, spring break is a magical time for students and professors alike. There is a small group, however, for whom those sweet words ring hollow. Any person who has ever taken the field, diamond or court as a collegiate athlete or coach knows that spring break is just another opportunity to train, play and prepare while your friends are drinking margaritas in Mexico. During my time playing rugby here at the U, spring break meant a few things. It meant that if we trained early in the morning, it wasn’t as early. If training was late at night, it could be later (because you can stay out late if there’s no class). 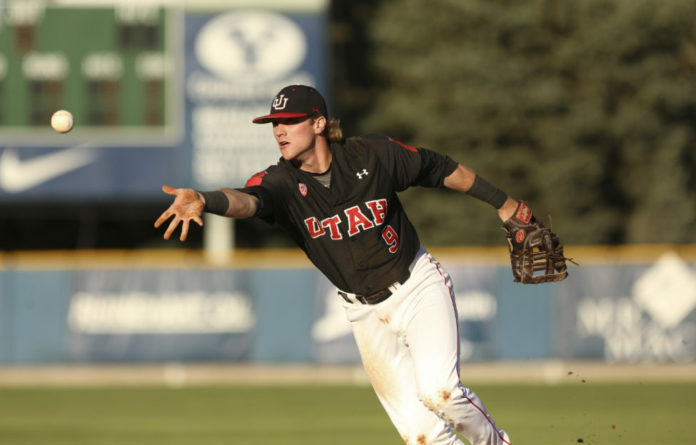 It meant that the Wasatch Cup against BYU was two very short weeks away, and Nationals began the week after. Instead of getting a tan on the beach next to a beautiful lady, I was sweating with my brothers on the pitch and in the gym, and I was sleeping on a bus traveling to the next game. You might be asking, “What about sports that play in the fall?” That is a fair question, considering that their season ended before Christmas break. What could they possibly be doing during spring break? Couldn’t they take a week off? Questions like that generally come from a non-athlete mentality. For athletes, the next season begins as soon as the current one ends. Take Utah football, for example. As soon as the Foster Farms Bowl ended, the seniors, and those with next-level talent, began searching for agents and getting combine-ready while everyone else was handed over to the coaches that every team loves to hate — the strength and conditioning staff. Off-season workouts are grueling, demanding that you get bigger, faster and stronger before spring ball and summer conditioning hits. The grind is even more intense so you can be ready for fall camp and the regular season. Taking a week off to play beer pong on a houseboat in Lake Mead would do nothing but make you lose a week of gains, and it would drop your stock on the team for the next season. If that wasn’t enough, spring sports are at the most crucial point of their seasons during spring break. Swimming is prepping for regional qualifiers for NCAAs, skiing will be competing at its national championship, March Madness will be in full swing, and baseball and softball will be working to reschedule snowed-out games and prepping for conference tournaments. They will be traveling, sure, but it’s with a group of people that you see all the time, going to the same places to see people you dislike and to put your body on the line for yourself, your friends and your school. Being an athlete has a lot of cool benefits. You are the people the student body cheers for when they need an escape from the rigors of college life. You are the ones who people will go home and tell their roommates or significant others about when they have a class with you. You are kind of a big deal, until Daytona Beach comes calling. Or Cabo. Or anywhere with a beach, a mountain, or anything else that could be a distraction for the horrible midterm grades that will still be around when students return from their carefree week. You will be working in the cold, rain or snow. You will be in a smelly gym with the same people you see every day at the same time, wearing the same matching gear, spring break after spring break. The best part is, you wouldn’t have it any other way. This spring break marks the first time since I was 15 years old that I don’t have training or a tournament, and out of all the things I could be doing, I wish I were in the gym sweating it out with my brothers, with my eye on the prize.